FMZ crowns and bridges from Assured Dental Laboratory are full-milled, pure zirconia which means no porcelain and no possibility of porcelain fractures. As a full gold crown replacement, FMZ offers natural aesthetics and lifelike characteristics, 1200 MPa flexural strength, adjustability and stainability, excellent marginal fit, and conventional chamfer preparation and cementation. 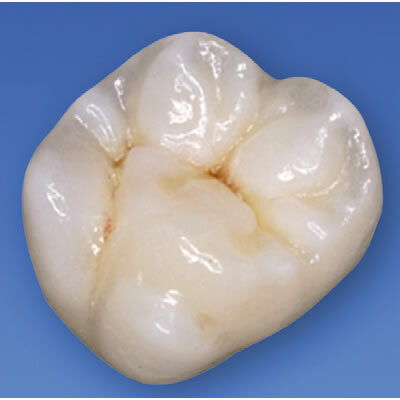 FMZ is indicated for crowns and up to 4-unit bridges, crowns over implants, and crowns with limited occlusal clearance.